CHICAGO, IL – MAY 14, 2014 – Planetary Pinball Supply (“PPS”), Chicago Gaming Company (“CGC”) and Stern Pinball, Inc. (“SPI”), today announced a specialty manufacturing arrangement pursuant to which SPI will make its manufacturing facility available to PPS and CGC to assemble their remake of the Medieval Madness (“MMR”) pinball game. CGC, which has a long-standing business relationship with SPI, will assemble the game for PPS in SPI’s factory using SPI’s factory labor and production line assets. 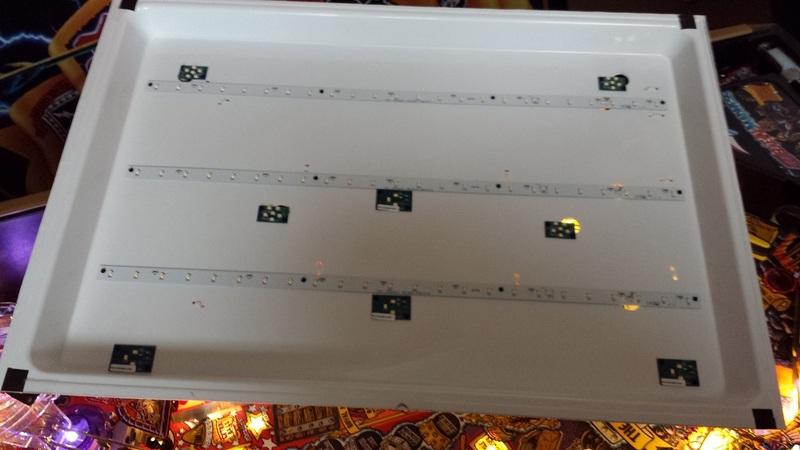 The game will be assembled with parts supplied by CGC which consist of original WMS specification parts combined with the new electronics and lighting systems designed by CGC. Final prep, packaging and shipment will be from CGC facility in Cicero, IL. “We think this arrangement provides the best solution to insure the timely delivery of a high quality game for our customers who wish to own this legendary title” said Rick Bartlett, President of PPS. “We have a long-standing relationship with SPI and its high capacity manufacturing operation will allow us to complete the MMR games in a timely fashion,” added Doug Duba, President of CGC. “We’re looking forward to helping PPS and CGC exceed the expectations of Medieval Madness pinball enthusiasts,” said Gary Stern, President of SPI. This entry was posted in Medieval Madness Remake! (MMR) on May 14, 2014 by admin. MMR: FAQ – Specialty Manufacturing Arrangement with Stern Pinball Inc.
Q: What is the announcement? 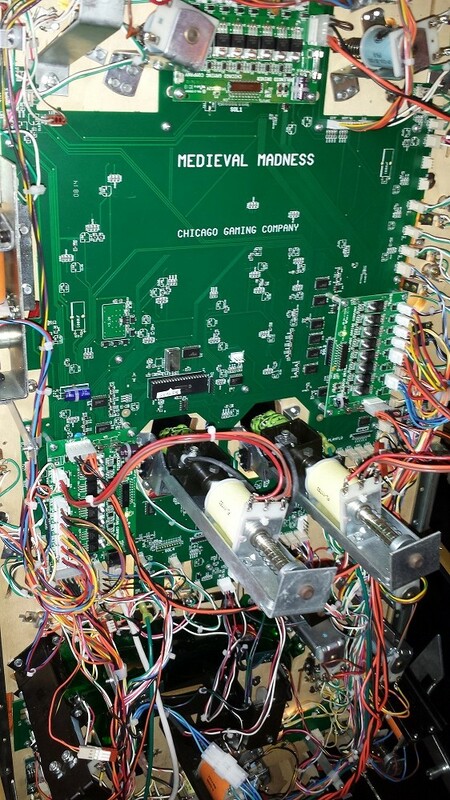 A: The announcement is that Chicago Gaming Co (CGC) and Planetary Pinball Supply, Inc.(PPS) will be using the Stern Pinball, Inc (SPI) factory to assemble the Playfield and Cabinet assemblies for Medieval Madness Remake, using both original spec WEG (Williams Electronic Games, Inc.) Medieval Madness parts and newly-designed CGC parts (electronics and lighting systems). SPI will make its manufacturing facility and factory labor available to PPS and CGC. Q: Why would you do this as I thought CGC was making the game? A: CGC is ‘making the game’ for PPS and, as such, they have designed, prototyped and tested the game. CGC retains responsibility for the BOM (bill of materials), overall QA responsibility for the game, as well as packaging and shipping. 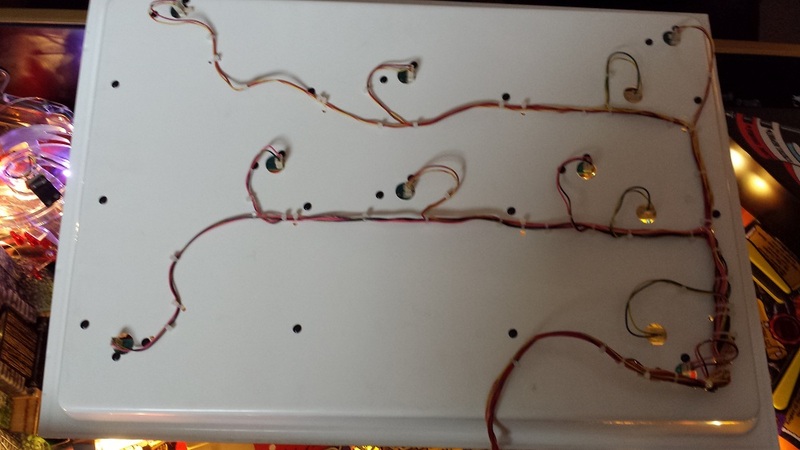 What is happening is that rather than build a pinball production line, we will be using SPI’s. SPI has a high capacity line and manufacturing operation. Q: If you were picking a pinball manufacturer – why not pick JJP since you already have a relationship with them? A: A number of reasons go into this – first we have a relationship with SPI as well and SPI has been doing contract manufacturing for many years, and is geared up for it whereas JJP is very focused on producing its own games (WOZ, etc). Additionally, the logistics between CGC and SPI already exist – trucks move back and forth between the companies daily, as well as the finishing up at CGC would not be able to happen if the game were assembled in New Jersey. There is a lot of sub-assembly that is being done both at CGC as well as with suppliers in the Chicago area, so this is another consideration. 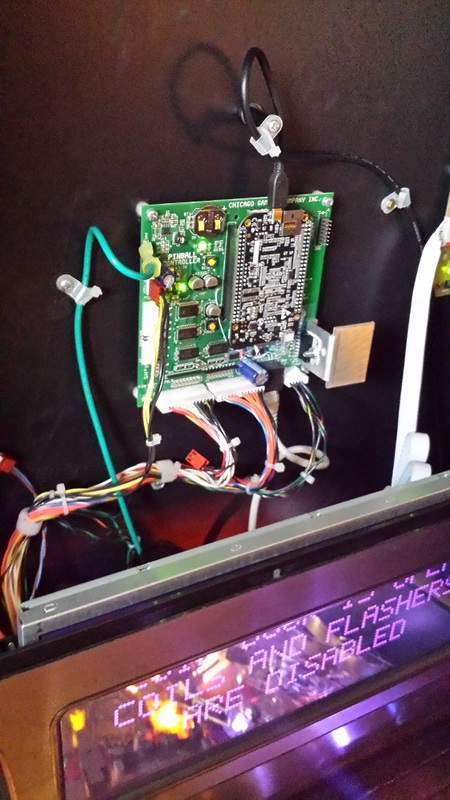 Q; Why would Stern Pinball do this – helping out a ‘competitor’? A: MMR is going to be built one way or another and SPI believes MMR fits into their contract manufacturing line of business, which helps keep its factory busy during breaks between Stern-branded games. Additionally, there is a reduction in market uncertainty by insuring the game comes out sooner than later, which helps everyone. Q: What does this do to the schedule? A: The great news is it firms up the schedule as SPI can build upwards of 200 games/week on its line and this will allow MMR’s to be scheduled to be assembled in one or more builds, which will help ensure that we will finish the LE’s before the end of the year – so it basically allows us to get a lot more games out in a much shorter period of time with a different ramp up. The initial games will slip a few weeks to get everything setup to run. Everything assumes of course the timely delivery of all quality parts needed to assemble the game from CGC. Q: Does this change the plan for Pre-Production games? A: The pre-production games will now be assembled at the SPI factory, to give the production line a warmup for starting the overall assembly of the first run. The pre-production gets pushed out a few weeks. 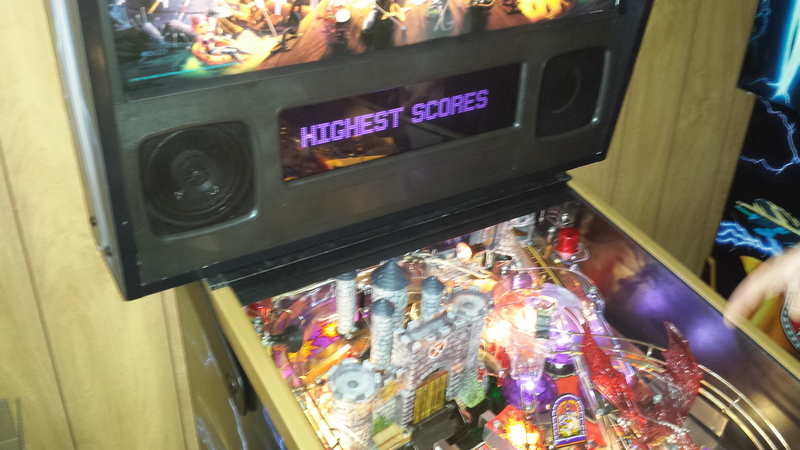 Q: What about the quality – are you sacrificing quality by going with Stern Pinball? A: The quality of a game is a function of many factors including parts selection, design, as well as build quality. For the MMR, the assembly is using OUR set of parts and OUR design. 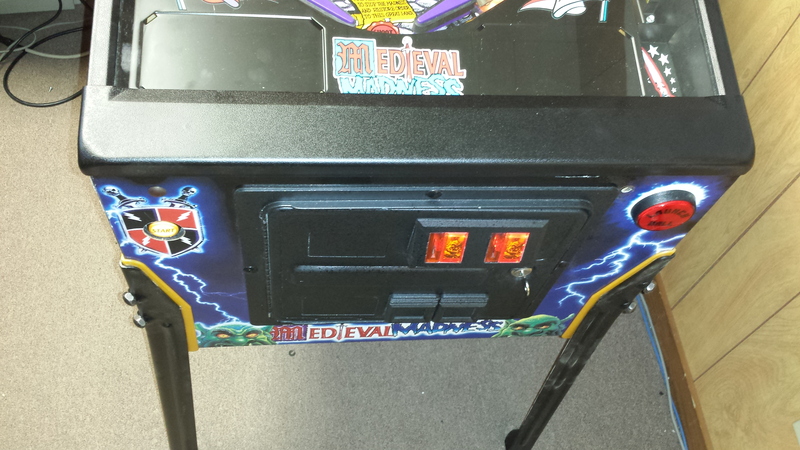 As for build quality, the objective is to have the same build quality as the original Medieval Madness. Additionally, we will incorporate CGC Quality Control people into the SPI line to address and escalate any build issues. Finally, SPI itself has major initiatives focused on improving build quality, which will benefit us. Conversely, there is a learning curve and a ramp up of building a new manufacturing line – there are people to hire, train, etc, and lots of design and working to get ‘things right’. Additionally, from all of our cumulative manufacturing experience, we all know that a new assembly facility would have ‘bumps in the road’. We chose this path to help avoid those bumps which would translate to delays that we could not predict and thus more uncertainty and delay in customers getting their games at the level of quality that they expect. Also, if you do not keep an assembly line running then you have issues with people not having work in-between, retraining … and potentially quality issues popping up from time to time. SPI’s assembly line does not have these issues and they can handle the capacity of the MMR games. Q: When did this decision get made – have you been keeping us in the dark? A: The decision was brought up in earnest in March, and we had initial discussions, including a list of concerns that we wanted addressed (many of the concerns that are being answered in this FAQ). We had some additional discussion between CGC/PPS/SPI management and PPS/CGC came to a decision in early May that this would be the best path for the customer. 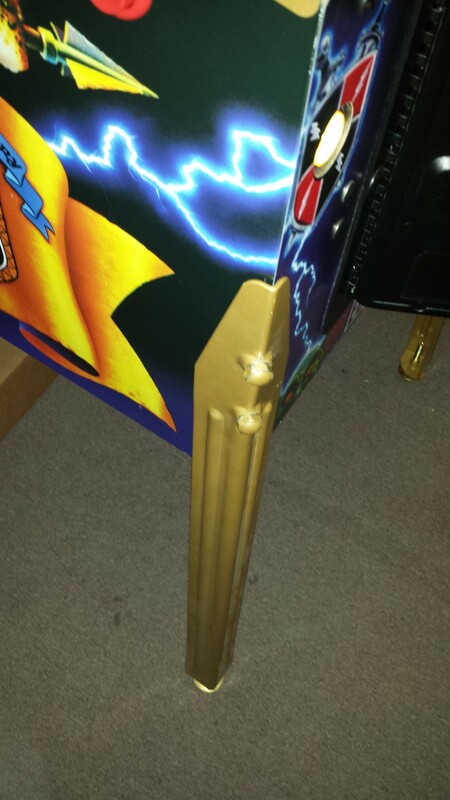 Q: Does this mean Stern Pinball will be building all of the PPS/CGC games? A: This decision is for MMR, that is the focus. There have been no discussions with SPI about building any more games. We will deliver MMR first, and then consider what the market tells us and proceed based on that. 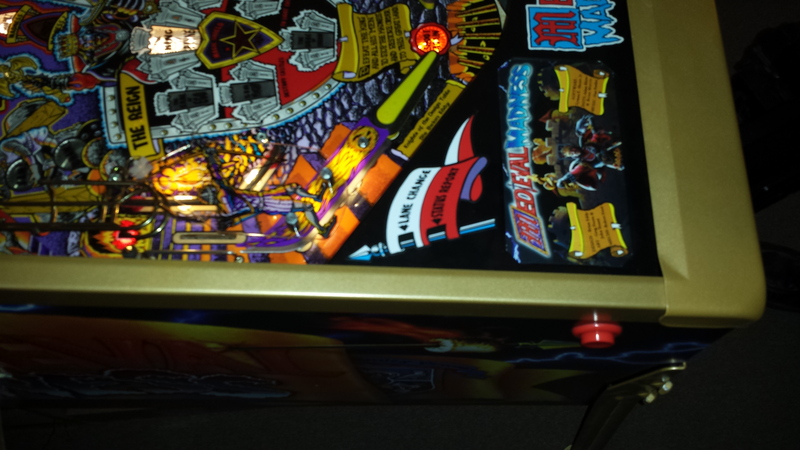 Q: Why wouldn’t Stern Pinball just sabotage the game or the dates, etc? This entry was posted in Medieval Madness Remake! (MMR), MMR FAQ on May 14, 2014 by admin. We finally got the seminar posting from the TPF show end of March … please take a look here. Was a little clumsy as the area for the game was not enough to handle those that wanted to come up but we did what we could do. This entry was posted in Medieval Madness Remake! (MMR) on May 11, 2014 by admin. MMR Update – Pieces Parts! CPU/Controller board – CPU is OTS (off the shelf) beaglebone black mated to the MMR controller board. That’s it for right now … more coming soon! This entry was posted in Medieval Madness Remake! (MMR) on May 3, 2014 by admin. MMR Update … Latest and Greatest Castle Sequence! 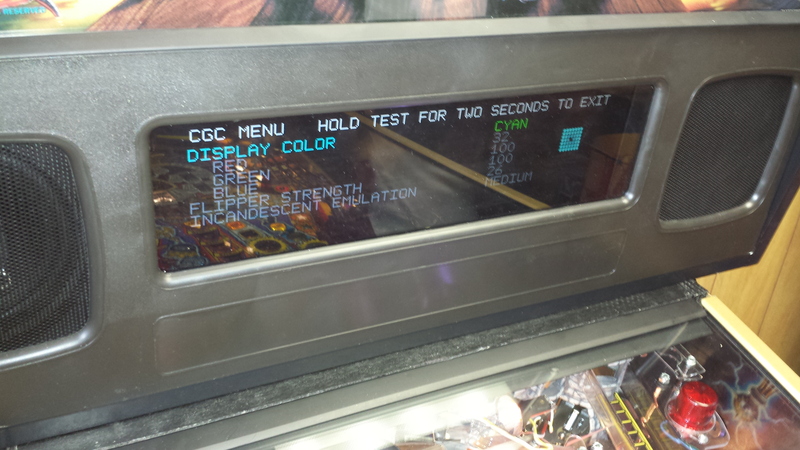 MMR Update – CGC Menu – Display Color, Flipper Strength, Incandescent Emulation! #1) Display Colors – you can now select any RGB color combination to make any color of the display that you want! Simply toggle the settings for Red Green and Blue from 0 to 100 to create your own color … Purple was created and set below … who wants to just have a few colors now you can have 100x100x100 possibilities! The little square on the side shows the color that the display will become. 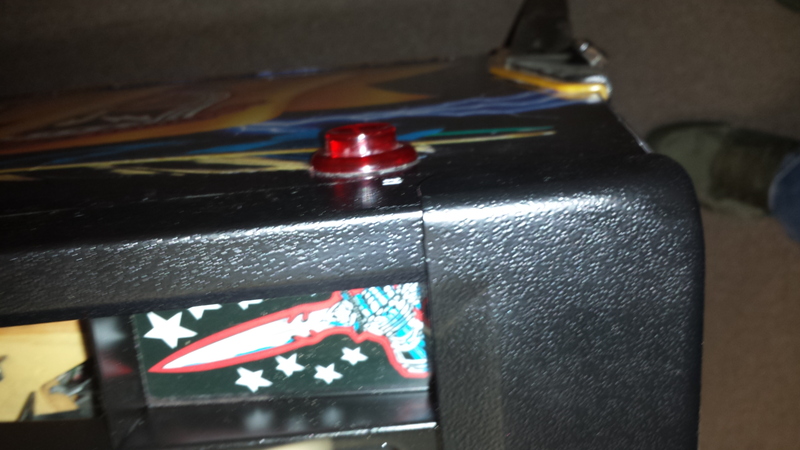 #2) Flipper Strength Adjustment – now in the control panel! We learned this at the TPF show with the variations in voltage, so now flipper coil strength can be adjusted up/down via the control panel! Settings will be 0 from the factory and you can adjust up/down from there! #3) Incandescent Emulation – from the show feedback it was clear that people had many different views on what good rampup/rampdown of the LED’s was and different tastes – so now that has been put into software with 4 different settings: SLOW, MEDIUM, FAST, OFF … Off turns off the emulation so that the LED’s will turn on and off quickly then you go thru different levels down to ‘slow’ where rampup and rampdown of the LED’s is a little slower than incandescent bulbs and then 2 other settings Medium and Fast which are in-between. Now done in software to allow flexible settings. NOTE: this video below was on “SLOW” setting, not sure if converting from MP4 to YouTube keeps everything intact in terms of timing, but you can see especially at the end the slow ramp up/down. MMR Trim Update – Gold AND Black! 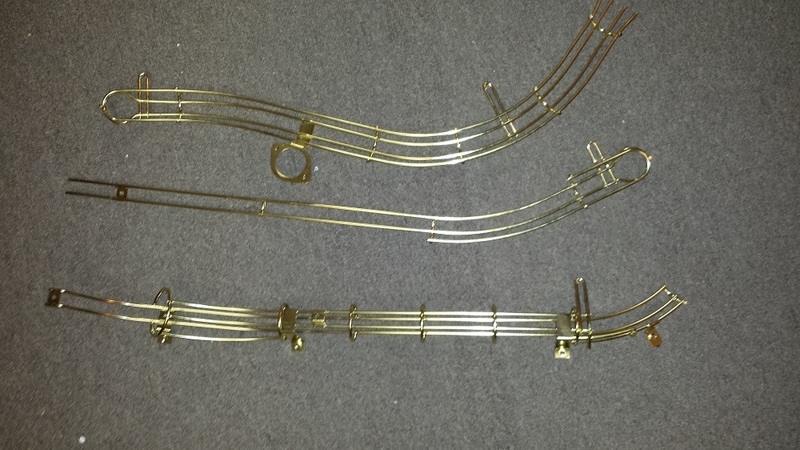 So for LE owners you will have the option of either traditional steel/zinc trim -or- Black or Gold! 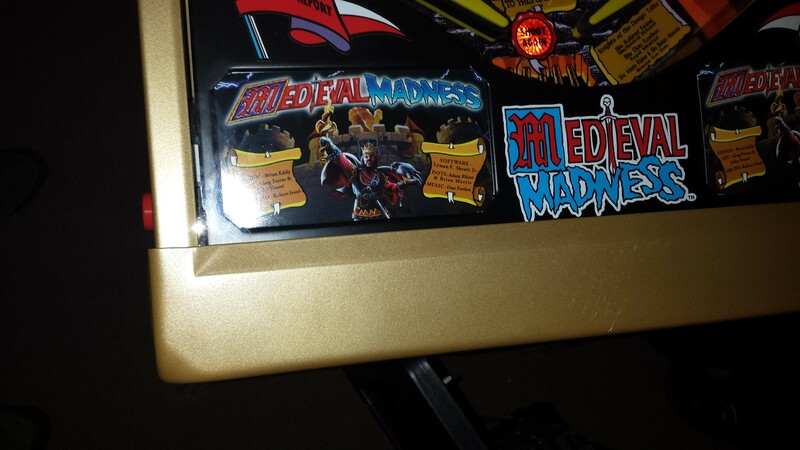 Two Medival Madnesses made their debut at the Texas Pinball Festival on Mar 28-30 … Doug Duba and Dave his engineer from Chicago Gaming (CGC) came down for the weekend to show off the game and insure everything worked well … and it did. PPS with CGC did a seminar which show more of the internals of the MMR closeup as well as went thru some of the design for the audience. A good post on the pinside forum is here about the game being setup, etc..
After roughly 30 hours of play on both machines we took back great feedback and get to work on moving ahead ordering parts and moving into pre-production games. Of the most important feedback was that the game played pretty well and pretty much like an original Medieval Madness!